Zc697. 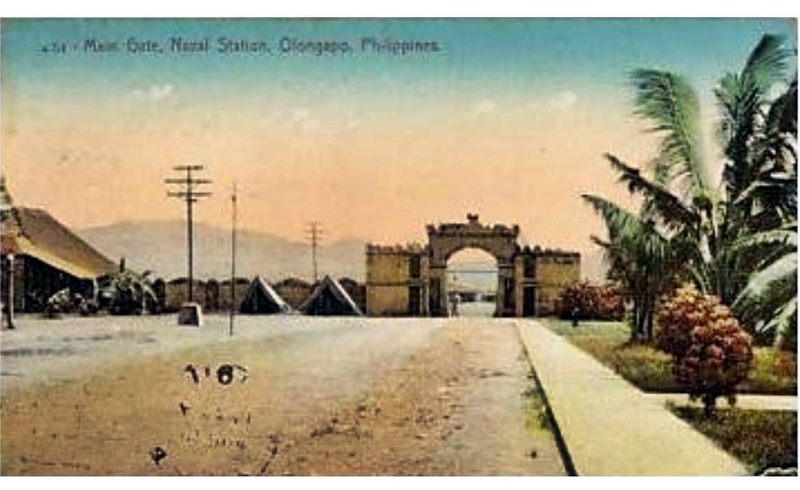 This is the Spanish Gate or West Gate of the Naval Station Olongapo. We are looking west; going thru that gate takes you to the Naval Reservation Town of Olongapo. We don’t have a date for this picture but it must be pre war. That looks like garden and landscaping in front of residential units, which I saw on another picture at the location. This picture was provided by Bert Caloud in 2015. Zc698. 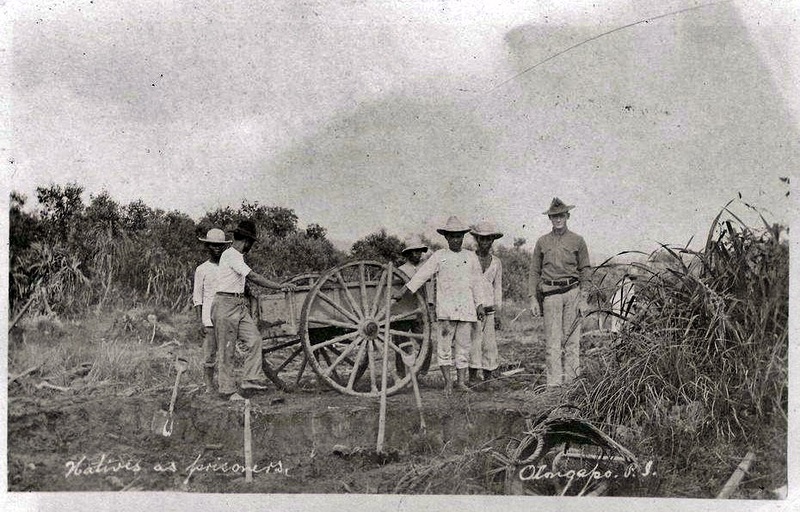 A Marine is guarding a prisoner work detail in the Naval Reservation Town of Olongapo, we have no date but it must be pre war. This picture was provided by Bert Caloud in 2015. Zc699. 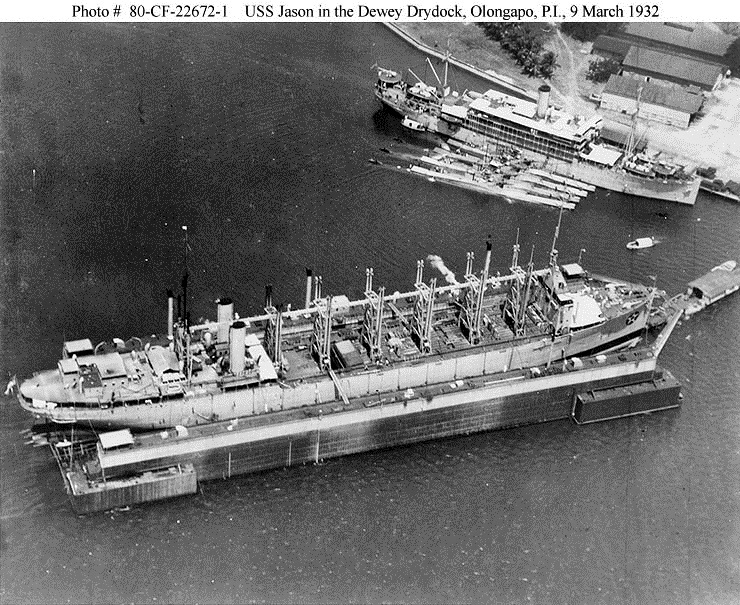 USS Jason in the Dewey Dry-dock AFD-1 on the 9th of March 1932 at Naval Station Olongapo, in the Naval Reservation, Philippine Islands (P.I.). Zc700. 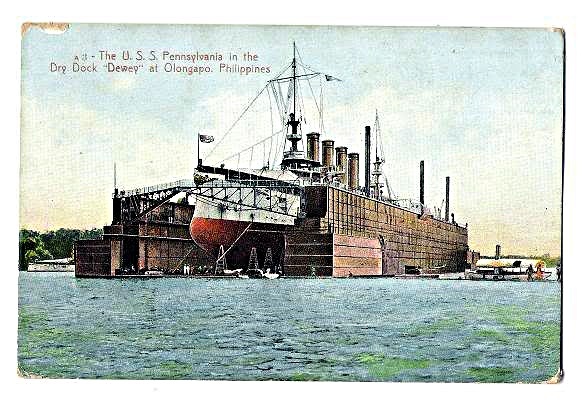 USS Pennsylvania BB-38 in the Dewey Dry Dock AFD-1 at Naval Station Olongapo, in the Naval Reservation, Philippine Islands (P.I. ).